My final project for my Masters in knitted textiles at the Royal College of Art explores the therapeutic benefits of knitting for a person’s mental health by creating what I call ‘Tension Birds’. I was inspired by reading Betsan Corkhill’s book Knit for health & Wellness. Betsan is known as a world expert on the use of therapeutic knitting for improving well-being and managing illness. She has carried out extensive research on the subject and has a website – stitchlinks.com dedicated to the subject. Having friends and family members who suffer from depression and anxiety I decided to focus on therapeutic knitting for mental wellbeing. On the stitchlinks website Betsan highlights ‘25 ways that knitting and stitching can help depression’. ‘Tension Birds’ are thus named as they relieve stress as well as being based on the creation of a tension square. The birds can be knitted or crocheted. Kathryn Vercillo has written extensively on the healing powers of crochet. They are easy to make and offer a quick portable project. 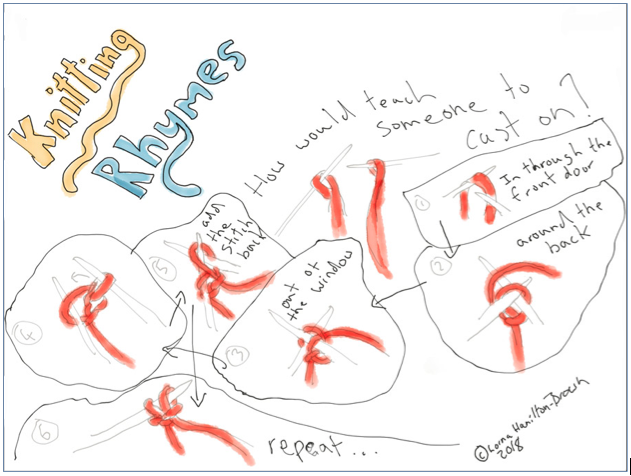 If you can’t knit, simple rhymes are used to teach you to cast on, knit and cast off. If you can already knit you can have fun trying out new stitch patterns. 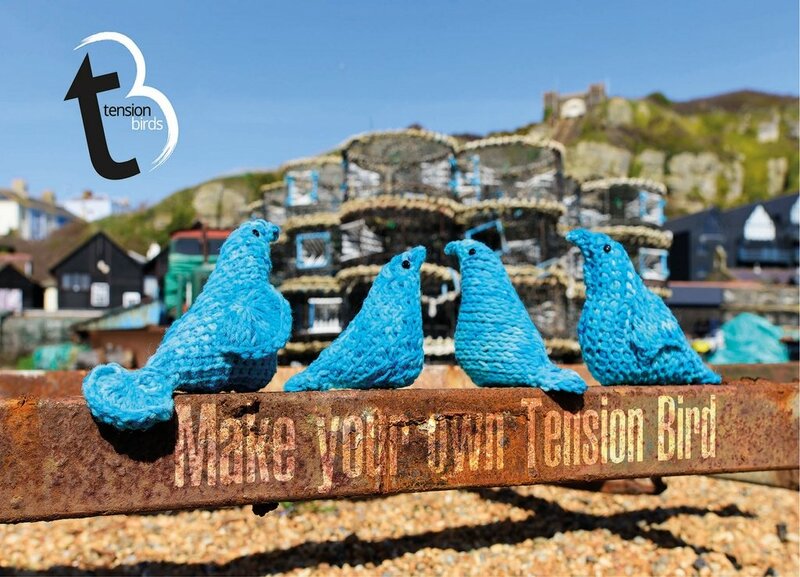 Tension Birds help people explore materiality, aid community engagement, provide comfort, relieve stress and will change the world one bird at a time.